We've had so much fun doing Easter activities over the past few weeks. We especially loved playing with eggs and kinetic sand and doing an Easter egg ice excavation. 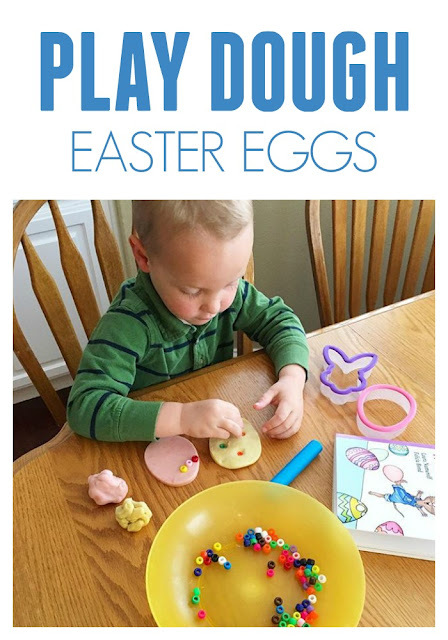 Today we're sharing a simple fun Easter egg activity using play dough! 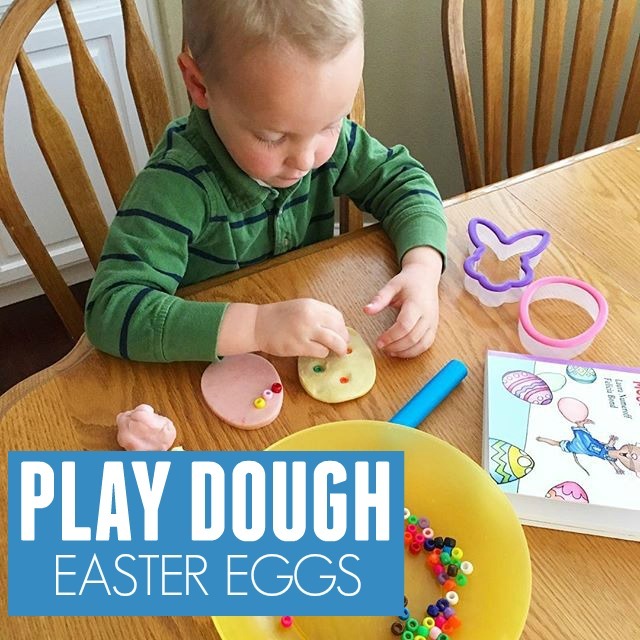 This play dough eggs activity is SO EASY! All you do is roll out your cookie dough, use your egg cookie cutter to make an egg shape, and then decorate the egg with your favorite embellishments!! We especially love using perler beads to decorate our eggs. They make cool imprints when you press them into the dough too. After creating our play dough eggs we read Happy Easter Mouse! by Laura Numeroff and Felicia Bond. It is such a cute Easter themed book for little ones. Do you have any other favorite Easter activities or Easter books? You can find 6 of our favorite simple toddler activities HERE.